Today Mrs. Rezan Kader attended at the presentation day of Pythagoras Mundus Program 2016/2017, at the Protomoteca Room at the Capitol of the Municipality of Rome. The Pythagoras Mundus is a cooperation and integration school program that brings students from other countries of the world to study and to be formed in cities and "Borghi della Sapienza" of Calabria and Italy, interacting and enriching local communities. The program is organized by the Calabrian Institute of International Politics (Is.Ca.PI) with the patronage of the Calabria Region School Department, the Regional Education Office and the collaboration of the Ministry of Foreign Affairs and International Cooperation, the Ministry of Education and the Italian Agency for Cooperation and Development, and involves a number of students from all over the world and, above all, from the Kurdistan Region. Present at the meeting, H.E. Tshiseleka Felha, Ambassador of the Democratic Republic of Congo, Archbishop Vincenzo Paglia, President of the Pontifical Academy for Life, Mrs. Laura Baldassarre, Council member for Person, School and Community Solidarity of the Municipality of Rome, Emanuela Benini, Italian Agency for Development Cooperation, as well as headmasters of some Calabrian institutions. The High Representative has addressed the most heartfelt congratulations to Is.Ca.P.I., that promotes school integration and cooperation through this program. Now more than ever, added Mrs. Kader, in this delicate historical moment that sees the Kurdistan Region at the forefront in the battle against Da'esh, it is appropriate to reiterate the commitment of all to support internationally social and cultural growth, but also the economic and employment development. In closing she addressed the congratulations and wished the Kurdish students present at the meeting a future full of satisfaction. At the conclusion of the ceremony, Mrs. Kader and S.E. 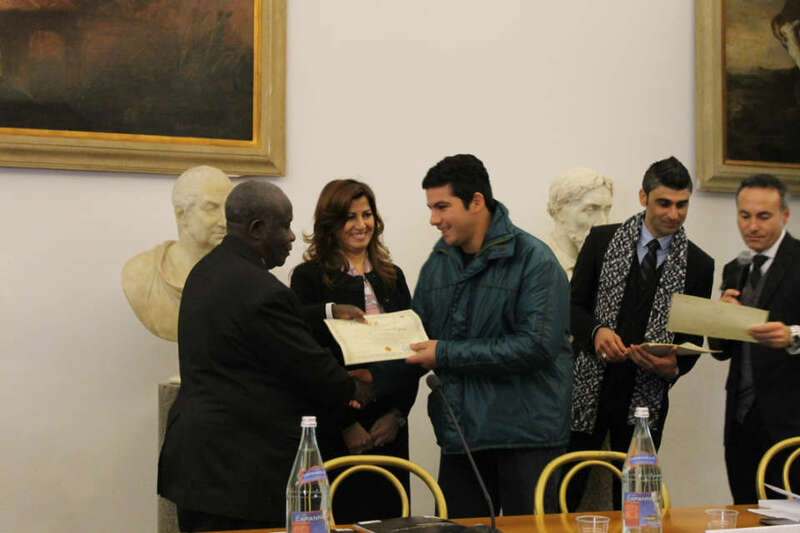 Tshiseleka Felha handed certificates of participation at the group of students from Paraguay, having reached the end of their training experience in Calabria.